“You’ll get into trouble, going up there”, said Kerry, my beautiful chauffeur. But, as you all know, “PRIVATE – TRESPASSERS WILL BE PROSECUTED” to me reads as, “WELCOME – TAKE YOUR TIME, HAVE A LOOK AT OUR BEAUTIFUL BUILDING AT YOUR LEISURE – FANCY A CUP OF TEA SIR?”. What a location! With Manor Road and St. Nicolas’ Church to the north, Loxdale to the south, an animal sanctuary (I counted eight horses and two llamas) and Easthill Park to the east, and Lock’s Hill and the village green to the west, its situation is unrivalled. 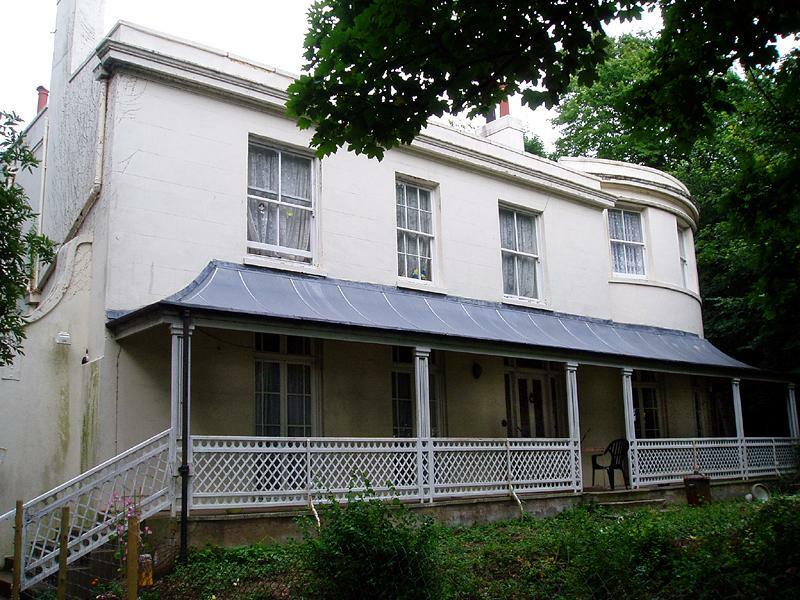 Portslade Lodge sits in the heart of the Old Village of Portslade. The main body of the building was built around 1785 in brick and then stuccoed in the common Regency style that we all know and love. It has two storeys with attics and a basement. My favourite feature has to be the veranda that runs right across the front or perhaps the southern circular tower section that seems to have been added later on. In 1841, the property was sold to John Borrer for £740, who you may remember from a previous piece as being Lord of Portslade Manor. During the 1960s, it became Manor Lodge, presumably as a reference to the nearby Manor. Interestingly, the owners of Portslade Manor at the time, the Poor Servants of the Mother of God, later came to own Portslade Lodge as well. Portslade Manor was sold to Emmaus (the homeless community project) but they still seem to own Portslade Lodge. By 1970, the building had been turned into two flats and today is four flats. The main building and the boundary walls became Grade II Listed in July 1950 and September 1971 respectively. Why on earth wasn’t the varied architectural style of the Old Village continued in the post-war surrounding developments? The mature trees are wonderful, and once inside this small estate, it really feels like a trip to the countryside. The patchwork set of front walls are a mix of various pebbles, red bricks, flints and yellow brick with an unwanted archway now filled in. This adds what we call ‘character’. The driveway is muddy and overgrown, the conversion into flats a disgrace, the paintwork is peeling and the corrugated iron additions are rusting. This is what we call – sorry, it’s unprintable. A new owner is needed, which is why I am now saving like crazy!